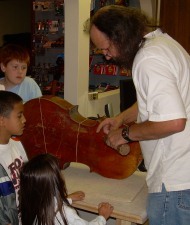 For over three decades Bob Popek has been repairing restoring stringed instruments in the Lincoln area. 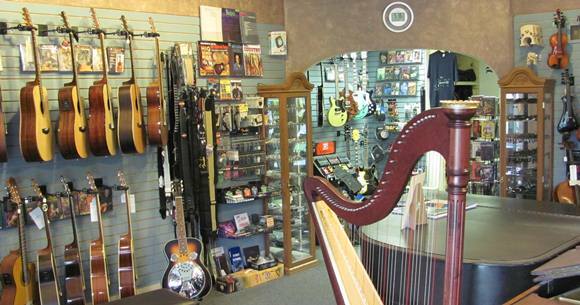 In 2006 Bob opened cgsmusic at 1244 High Street, focusing on all areas of string repair & enhances that with a wide variety of merchandise. from Doug – Go for it. Words to live by every day, thank you! Terry Princ – (Yes, without the E) – has joined cgsmusic! Terry is a 1975 graduate of Western Iowa Tech Community College in Band Instrument Repair. He has worked steadily since & served as a road representative to the schools for almost 25 years, performing on-site repairs for students. In addition to repairing, Terry also plays alto saxophone and was a beginning member of the Lincoln Community Concert Band.